July 21, 2017 – Arthritis has become an epidemic. The number of Americans who are stricken by arthritis is staggering. Millions are in pain, and the number keeps growing. For arthritis sufferers, the biggest challenge is to try and overcome those things that add difficulty to daily life—joint stiffness and a lack of mobility and flexibility. Not surprisingly, one place to find some relief is in the warmth of an infrared sauna. Nearly 30 years ago, Dr. H. Isomaki reported promising results involving the use of sauna therapy for those suffering from arthritis. The finding were published in The Annals of Clinical Research-Volume 20. 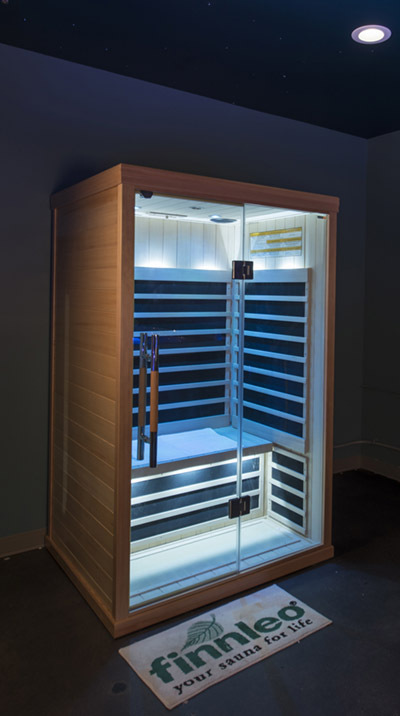 More than 50% of the patient’s found that sauna use temporarily reduced their pain and increased their mobility. Saunas tend to naturally increase the production of growth hormones, cortisol and adrenaline that have anti-inflammatory benefits. Endorphins, which are the body’s natural pain killer, are also released during a sauna session. Add this to the enhanced mobility that results from the heat, and the outcome for the participants is nothing short of positive. They felt better, their mobility increased, and the pain was reduced. The mood elevating effects of the pain relief were an added bonus. The evidence is encouraging. There are so many benefits attributed to sauna use, why not make a Finnleo Infrared Sauna a part of your daily routine. We have models that are easy to install, take up little room, and run on a standard household outlet. Each one of our convenient Puget Sound showrooms have saunas on display. We invite you pay us a visit and discover for yourself how Finnleo Saunas can change your life!